Church history is my JAM. There’s few things in life I love more than a riveting Church history story — but unfortunately, Church history gets a lot of flack. Yes, people made mistakes. Yes, leaders were imperfect. And yes, I thought “garish day” was “garbage day” in “Lead Kindly Light” for way too long. Not related to Church history, but I just really needed to get that off my chest. But even though there are stories about imperfect people making mistakes, there are also stories about imperfect people doing incredible things — receiving revelations, seeing angels, and exercising incredible faith in the midst of persecution. And those are the stories I want to share with you. 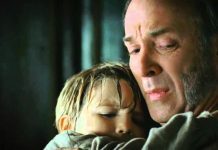 This story, which took place in 1833, will be the first of many in a series of little-known Church history vignettes. I hope you enjoy them as much as I do. 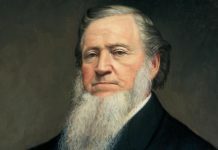 “On the thirty-ninth day after the utterance of that prophecy a brother in the Church, Joseph Hancock and another man were out hunting game and got lost. They wandered about until night, when they found themselves at the home of this unbeliever, who exultingly produced this note of Joseph Smith’s prophecy and asked Brother Hancock what he thought of his prophet now that thirty-nine days had passed an the prophecy was not fulfilled. “He stayed that night at the home of the skeptic unbeliever, as it was too far from home to return by night; and in the midst of the falling of the stars he went to the door of his house and called him out to witness what he thought impossible and the most improbably thing that could happen, especially as that was the last night in which Joseph Smith could be saved from the condemnation of a ‘false prophet’. “The whole heavens were lit up with the falling meteors and the countenance of the skeptic as he viewed the spectacle was plainly seen and closely watched by Brother Hancock, who said that he turned pale as death and spoke not a word. 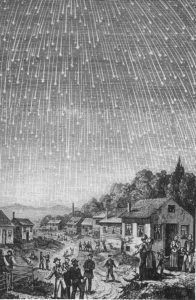 The event that took place that night is what we now know as the 1833 Leonid Meteor Shower. 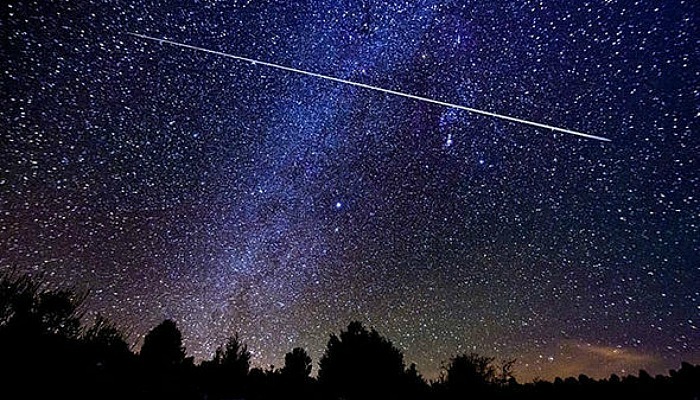 It’s still considered one of the most epic meteor showers in modern history, and, according to EarthSky.com, is said to “have produced from 100,000 to 200,000 meteors per hour”. No ordinary man could have predicted an unprecedented event like this — only a man of God. 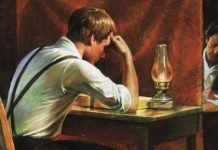 Only a man like His prophet, Joseph Smith.